Crawford Productions / Seven Network. 65 x 30mins. 1989-1992. Producers: Peter Herbert, Oscar Whitbread. CD (Single) - BMG. 74321125792. 1992. "NORMAN & EFFIE". Tk1 "Amigos Para Siempre (Friends For Life)". 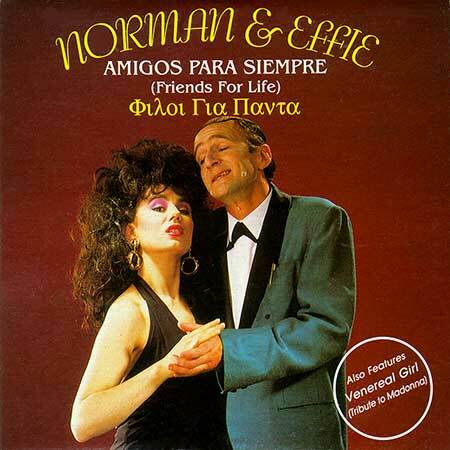 v: Norman Gunston and Effie.